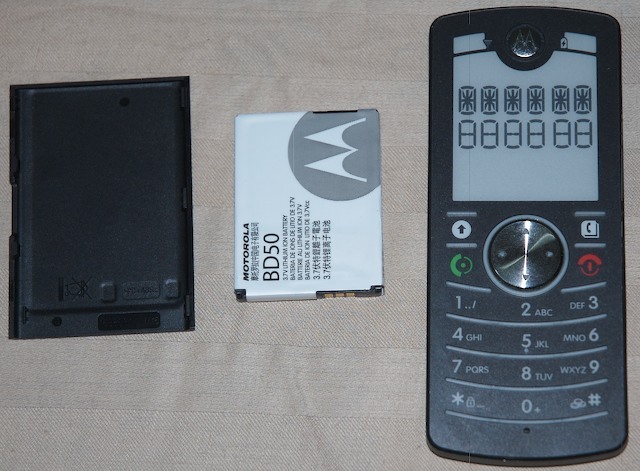 I bought the Motorola Motofone after being introduced to it by this post on my friend Nick Baum‘s blog. For as long as I remember, I’ve been reading about how phones keep getting more and more complicated. Yet many people want their phone to do only one thing: make calls. The trick was getting a phone that was usable and friendly at the same time. 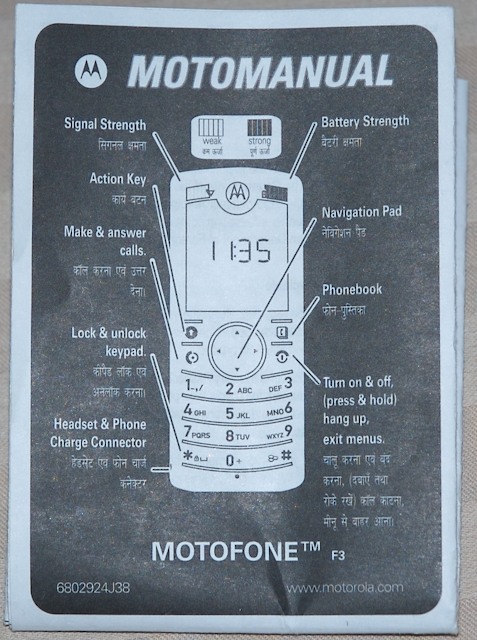 When Motorola finally came out with the Motofone, it appeared that they had achieved just that. The only problem was that the phone was only available in India! Fortunately for me, I’ve been in India for the last 3.5 months. So I decided to buy one (or two), and write a hands-on review for it. Well, after writing a single-spaced narrative that spanned 3 pages and finding myself only half way through the things I wanted to say about this phone, my friend Nick came to the rescue with a list of questions for me to answer. So I’ll just break my unnaturally long essay into pieces and post the review in interview format-. Update 2007-03-27: For those of you looking for a manual of this phone, I found two, in English. Motofone Draft Manual [pdf] is one, and Motofone Digital Manual [pdf] is another. The latter doesn’t contain the list of ‘advanced’ codes. Nick: How is the packaging, the new user experience? What’s included in the box? Me: The phone came in a cylindrical container, aka a tube. Opening the box revealed inside the device itself (without any protective plastic bag/screen cover), a battery in a nylon bag, the back cover of the device, a charger, a user’s manual (in Telugu, Kannada and English), and the standard warranty papers. The package is a standard cardboard tube with plastic tops, which makes it feel a bit cheap. However the finish is good, and if it’s sitting on a table it looks better than expected, so it might actually work in places other than India, like Europe or even the US. Most phones come in solid & glossy cardboard boxes with the phone securely tucked away in polystyrene or a plastic casing, but the Motofone’s case is different enough that it might get away with it. Nick: Tell me about the physical design of the phone. How does it feel? Me: The phone is extremely light. The face is completely flush, with no nicks or grooves for dirt to get into (not even around the screen, which is simply a transparent piece of plastic as far as the outer shell goes). Even the keys are completely flat, which I love. I read somewhere that the phone was built for the weather in countries like India, where there’s a lot of rain and dirt in the air. I have not tested the rain claim, but I will take Motorola’s word for it. As for the dirt, the only place I can see dirt getting into is the speaker, but even that seems hard. Everything else is either completely flat or sealed with rubber. There’s still tactile feedback through the protruding rubber lines above and below the buttons. Both the buttons and the click wheel in the middle feel very natural. The clickable area is quite large, and you can easily feel the button being pressed. The only input slot is the charger/headphone jack, which is smaller than any other charger jack I’ve seen. However, the fit of the plug is extremely snug in the phone (it will not fall off if you dangle the phone from the cord, but at the same time it does not require much strength to push it in/take it out), and it seems that it uses the same plug for headphones, which I have not tested. The thickness of the phone is about the same as an Apple Remote. Nick: How about performance? In practice, how long is the battery life? How is reception? 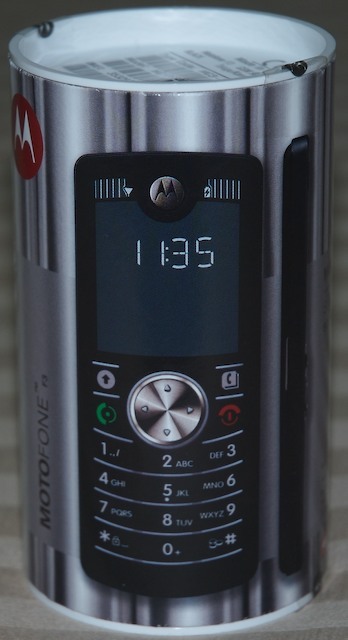 Me: Motorola claims 300h of stand-by battery life which, for the less mathematically inclined, translates to 12 days. That might be true if you turn on the phone, leave it on a table and never touch it or receive any calls. The screen consumes absolutely no power when it’s not changing the contents of the display, so on stand by the only power drain is the signal reception and updating the time every 60 seconds. However, I would not expect the battery to last anything more than 5 days under any circumstances where the phone is actually being used. I did let the battery run down completely, but I did get a solid 4 days of constant use from it before the 5-segment battery indicator dropped to a single line (just barely dropped below 2, where the last line can easily go for another day). As far as reception goes, I only have one word: outstanding. I’ve been using this phone for 2 weeks, and I still have not seen the reception indicator fall below the full 5 lines (and no, reception is not generally this good in my area). In line with this, the excellent speakerphone is a feature I did not expect. Voice clarity on this device is up to par with any phone I’ve ever tried, including land lines. 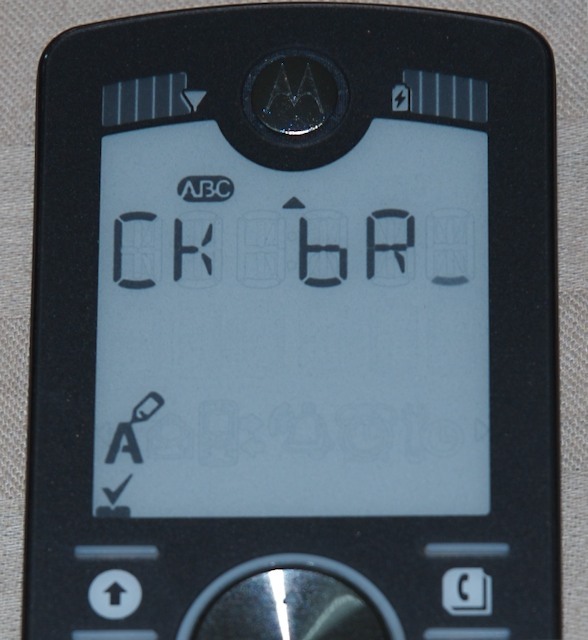 I have no problems understanding anything anyone says to me on this phone. Nick: How does the screen perform in different light conditions? How does it compare to regular screens? Me: The screen is definitely the most innovative power saving feature of the device. I already knew that the E-ink technology used for the screen requires no power to keep the screen on, but it’s a different feeling when you take out the battery without turning the phone off, and the screen keeps displaying the last characters on it! (Yes, it does reset without any trace when you turn it back on). The contrast is excellent and the characters are clearly visible in any light condition from any angle (unless there’s complete darkness). This being said, it’s not all rosy. The character display is exactly like the old 16-segment LCD displays of yesteryear. 2 rows of 6 characters, that’s it. What’s even worse, only the first row is used for actual alphanumeric characters, which makes reading messages a big pain. I do believe there’s a valid reason for doing this (read on about the user interface), but it doesn’t stop it from being extremely annoying. Also since the characters are constructed from segments, there’s no notion of upper/lower case. You will see an upper case letter or a lower case letter depending on which one will make the most sense when formed by the segments. Nick: Describe the user interface? Is it immediately intuitive, or does it take getting used to? The interface is by far the most interesting aspect of the device, even more so than the screen. The phone has a language setting, but not in the traditional sense as none of the menus have any text in them. Instead, any action you might perform on the phone and might need some instruction, comes with a voice-over, in the language chosen by the user. As this phone is targeted for the low-income family, there’s a good chance that a user of the phone might not even know how to read. For this reason, I believe the choice to preload the phone with voice messages in the native languages of the region it is being launched in instead of simply having text in different languages is an excellent choice. The first time I turned on the phone and entered my PIN, I was greeted by a man speaking in a language I did not understand. After a few seconds, the same man said, in English, “For English, press 3”. Since I bought the phone in the Karnataka district of India, the phone comes with 3 pre-set languages: Telugu, Kannada, and English, where the first two are the official languages of the district. These options come up whenever the SIM card is replaced in the phone, which makes sense. Once the language is selected, if you wish to change it you must either change the SIM, or go through the ‘advanced menus’ (read on). As soon as I pressed 3, the same voice asked me if I wanted voice prompts while using the phone. 1 for Yes, 2 for No. I pressed 1 just out of curiosity. This option is presented to me every time the phone is switched on. Note that wherever I make a note of what the “friendly voice” says, this is always dependent to whether or not voice prompts are enabled. If they’re not, then the voice will never be heard from again (at least not until you turn the phone off and back on). Since I had just powered on the phone, I was presented with the option for setting the time on the phone (with the voice telling me “Enter time”). After telling it the time and date, I was pretty much done with the setup. There are exactly 6 menu choices. The menu can be accessed by pressing right or left on the click wheel. 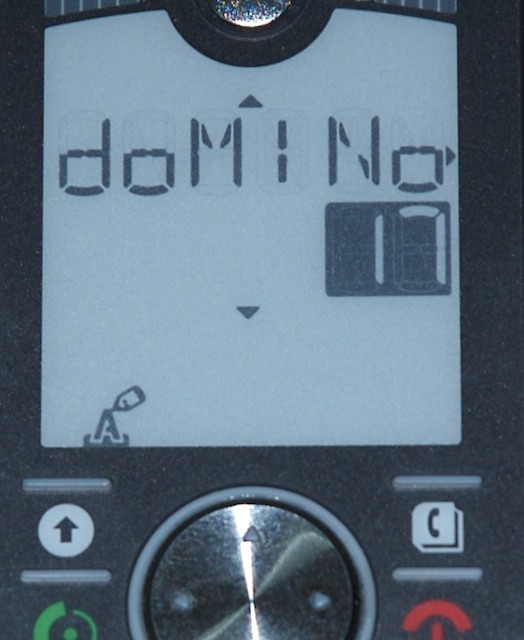 Pressing up or down while on standby changes the volume of the phone. The menu itself contains no characters, just icons. The same friendly voice tells you the menu you are on, which you can access by pressing the action key (top left). These choices are (as narrated by the friendly voice): Send a message, Read your messages, Call history, Change ringtone (7 possible pre-defined choices), Set alarm, Change time. Scrolling to the menu you wish to use you can press ‘up’ or ‘action’ and the menu will be selected, where the voice will tell you what you can do (“Write your message” for example). 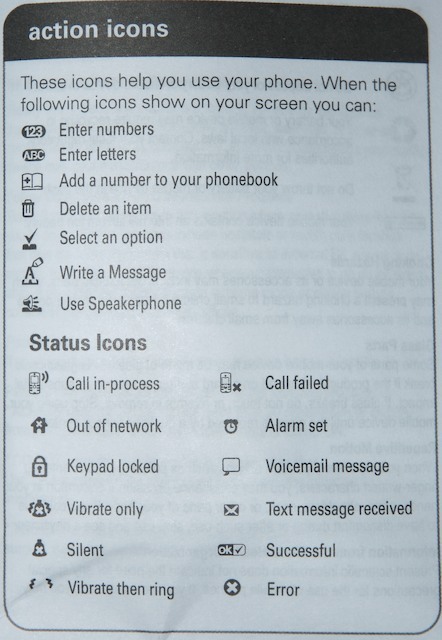 There are a few other (advanced) options you can mess with: change language, select time format, set voicemail number, keypad tones on/off, auto keypad lock on/off, set SIM pin, SIM pin on/off, restricted calling – phonebook only, prepaid balance display, set balance inquiry number, and the obligatory reset factory settings. All of these options are accessible by pressing *** [3-digit number code] * [action]. These settings obviously require the manual which lists all the 3 digit codes, and are generally the kind of thing you would only set once and then forget about it. I haven’t tried to see if there are any easter eggs in there. All in all, it took me about 10 minutes to get used to the interface. It did not immediately come to me (I spent a few seconds being utterly confused), but I believe the reason for that was because I’m so used to the standard interfaces that come on every phone. After getting the hang of this one (which was very fast to do so), it became almost second nature. Nick: How does the address book work? There’s a phone book button (top right) which takes you directly to the phone book. There is no memory on the phone itself for an address book, so it uses the SIM memory which is limited to 12 characters per contact name, and one number per contact entry. Pressing the phone book button will bring up the phone book, which you can navigate with up/down, or press a letter to jump to that point in the phone book. To scroll through the 6 character limit of the display you must press right. Pressing right multiple times will display the phone number of the contact, and then an option to delete the contact (shown as a trash can, you must press ‘up’ to delete it when the icon is shown). Furthermore, each contact has a number associated to it (the SIM card memory location), which can be used for speed dialing. If an unknown number is on the display, an icon appears above the phone book button which indicates that pressing it will let you add that number to your SIM. 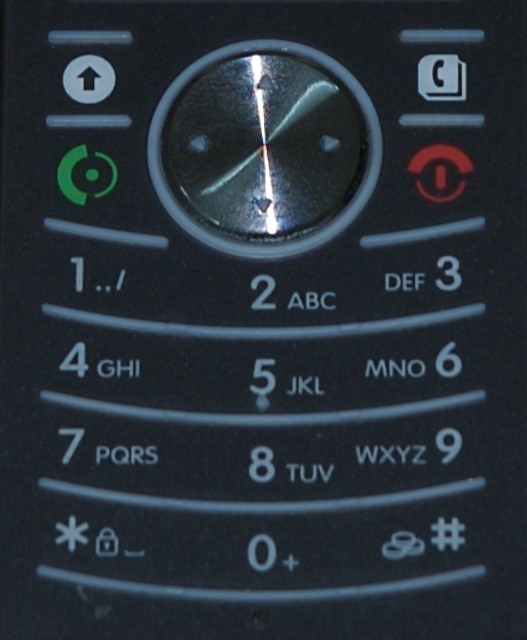 The Call History menu has a memory of the last 15 dialed/received calls (the menu icon indicates whether the number was dialed or received, depending on the direction of the arrow). Nick: How does text messaging work? Me: There are two ways you can send a text message. The first way is to start writing a message by using the “Send a message” menu (first choice), then entering the number or going through the phone book. Alternatively, whenever a number or a contact (either through the phone book or through the Call History menu) is visible, a “Send a message” action is available and accessible through the action button, which will take you to the same “Send a message” menu. Writing the message and pressing send will send the message to the number you already selected. I already mentioned that only the top row is used for text, and that this makes reading messages extremely annoying. However, you do get used to it. If a word is less than 6 characters long, it will definitely be shown in its entirety. I.e. if you receive the message “hi how is california?” then “hi how” would be on the first screen, “is” would be on the second and “california” would span two screens, split at the ‘o’. The reason behind all this, in my opinion, is consistency. Browsing anything (messages, contacts, call history, etc) is a top to bottom action, and reading a message is a left to right action. If the message spanned two lines, it might be a bit more confusing, but the initial confusion might be worth the convenience. On the up side the response time of any action is next to nothing, so reading a message on this phone is NOT considerably slower than on any other phone, provided you’re not using T9 or any other sophisticated input method. The only way a message can be composed is by typing each letter in the standard way. Furthermore, there’s no ‘back’ button in the sense that you can navigate your message. If you make a mistake, you have to erase all the letters from the end of the message to the mistake in order to correct it, and then type everything again. Nick: What do you like best about the phone? Me: I’d have to say the large characters that display the time, the visibility of the screen, and the intuitiveness of the interface (after you take 10 minutes to learn it, mainly because we’ve all been conditioned to expect a lot of counter-intuitive interfaces from phones). Oh, and the price. You just can’t beat a $40 price tag on a phone that looks this good. Also, I was surprised by the alarm. It’s quite loud, annoying, and must have a very well constructed sound loop because when it starts “chirping”, it appears as if the frequency/tone of the sound is slightly randomized, so it’s not a constant beat. Let’s just say it has more success waking me up than most other alarms I’ve tried (with the possible exception of The Matrix soundtrack CD starting at full volume). Nick: What do you miss most? Is the simplicity a blessing or a curse? Me: I think what I miss the most is the ability to synchronize my contact list with my mac, and slightly less I miss being able to connect my mac to the internet through the phone from wherever I am. However I still force myself to not carry my bluetooth enabled phone everywhere with me, because I believe having that kind of access to the internet should be reduced. As a computer scientist I spend a LOT of time on the internet as is, and having the ability to connect to the internet from anywhere at any time is just distracting. Feel free to disagree with me on this. 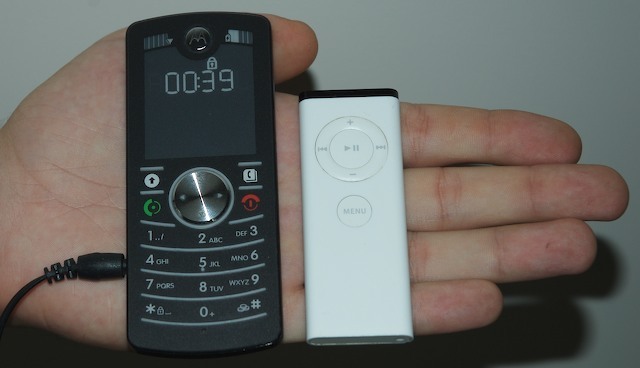 Beyond that, I do not miss the camera, the color screen, or the mp3 capabilities (I even have an iPod that I never use). If anything, I’d say the simplicity is a blessing. I never really used any of those features on my phones for any reasonable purpose, and simply having them there caused me to take ugly photos, waste time with 100px color photos, and suffer through low quality songs. Granted there are a lot of smartphones out there that get a lot of these things right, and maybe it is convenient to some to have a low quality 2MP camera in their pocket at all times. As far as I’m concerned however, if I believe I’ll want to take some photos, I’ll take a real camera. There’s just no way a phone can be designed to do all those things, and at the same time be small, light and usable. It always takes away from the primary purpose of the phone: making calls; which is why I believe the simplicity of this phone is a step in the right direction. Nick: What are the greatest flaws of the phone? How would you improve it? Me: I’d have to say the way the screen displays the characters. 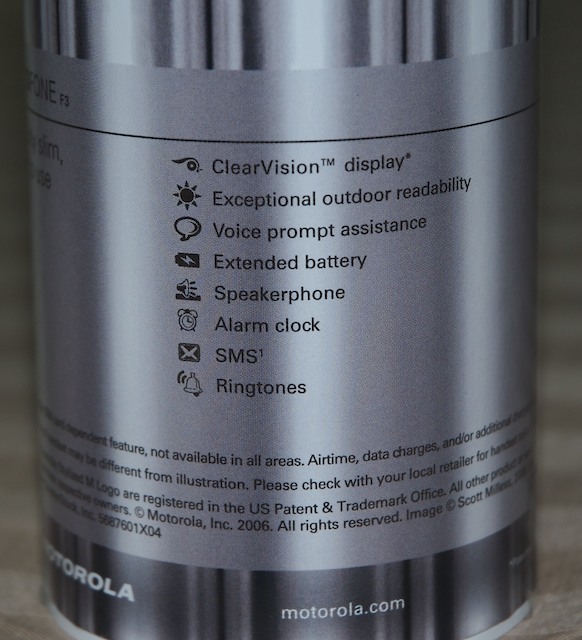 It seems that e-ink technology is able to create finer text, though I don’t know how that would affect the stand-by battery life (not that it matters much in real-life terms). Reading/Composing messages is troublesome at best, which is a problem concerning a lot of cellular communication now occurs via texting. I realize that a lot of the marketing around the phone is targeted to people who potentially don’t know how to read and/or write, but it’s a mistake to not consider the vast number of people who do and will be using this phone for that purpose. Other than that, I couldn’t be happier with it. Nick: How popular is the phone in India? How is it marketed? Me: I have not seen any ads for it, nor have I seen anyone else carry it or use it. That being said, I had a hell of a time finding a unit, as it was out of stock in every shop I went to. On the flip side, one shop owner I chatted up said they only brought 20 units total which sold in a couple of weeks, but they have no plans of bringing more. A few other stores hadn’t even heard of the device. I was finally able to locate a store that was having some stock brought in, and I reserved a device from them. The store attendant seemed to be very curious as to why I would choose a phone that had no features, and kept trying to get me to buy something else. Then again I’m in Mangalore, which is a city of 800,000 people in a country of 1.2 billion, and is also considered by many as a backwater village (i had to go to 4 different computer stores to find a 6-pin to 6-pin firewire cable). It’s extremely likely that Motorola has just not focused any marketing efforts in my parts of India, but I can’t confirm that. Nick: Would you use this as your primary phone in the US? Me: Probably. I’ve definitely given up a Nokia 6230 and an Ericsson K700i for this phone. Both of the other phones are turned off and stuck in my closet. That being said, I would not get rid of secondary phone with some more wireless capabilities, because I often find myself needing some mobile access which a simple phone cannot provide. I don’t know if I’d give up a blackberry for it, as I’ve never owned one (re: my comment on the simplicity of the phone). Update 2007-03-28: Since some people have started adding undocumented key codes to the comments, I’ll try to maintain a complete list here and update it as more undocumented settings codes come up. Note: Use these at your own risk, even before these codes were posted here phone numbers were lost from a SIM card because of them, so back up your numbers before you use them! Undocumented Codes – Use at your own risk! That’s it for now! If you find more, post them in the contents, I’ll pick them up and put them here.